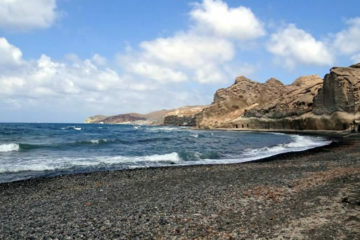 North to Akrotiri village and close to Akrotiri’s archaeological site you can find Akrotiri Beach. It is a long pebble beach with large pebbles and rocks. 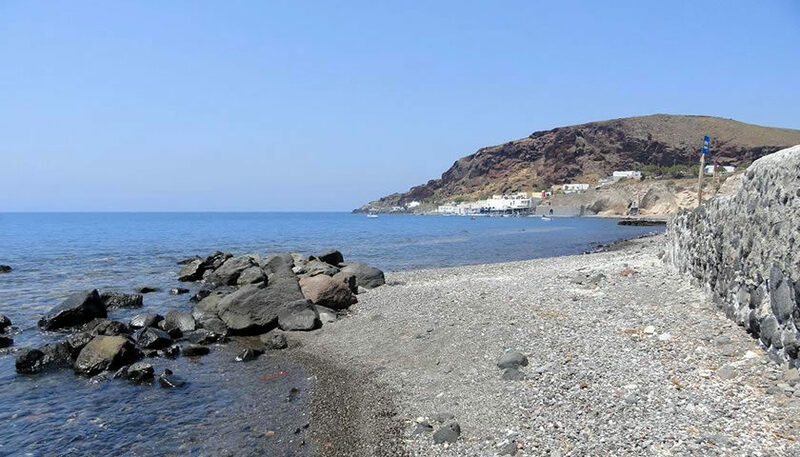 Not the best beach for swimming but there are many restaurants by the sea to enjoy a lunch or dinner with seafood and traditional Greek cuisine. During the summer period you can get a small boat from Akrotiri Beach and visit White Beach and Red Beach. 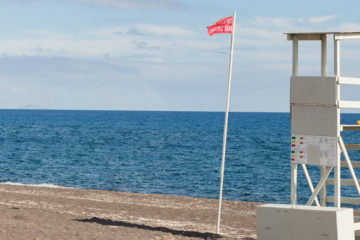 You can reach Akrotiri Beach by public bus or by car, following the road to Akrotiri’s archaeological site. The distance from Fira is about 11km. 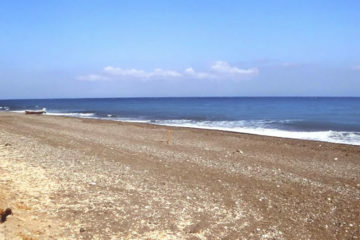 Almyra is a beautiful, small beach, located at the south of the island, between Vlychada beach and Akrotiri Beach beach….